The Meade Moon Filter reduces the glare, allowing transmission of only 13% of the reflected light. Not only will you see more surface features, but you can study them in greater comfort. The filter reduces irradiation, which is the distortion at the boundary between light and dark areas, such as along the lunar terminator. 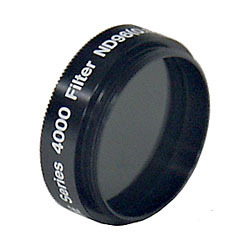 Simply screws in to the standard filter thread on 1.25" eyepieces and accessories. Supplied in a plastic box to keep the filter clean and secure.